With over 200 symptoms or co-morbidities, fibromyalgia symptoms can vary from person to person. With 18 trigger points across the body, one of the most defining symptoms of Fibromyalgia Syndrome is widespread pain. It is also characterized by extreme fatigue, sleeping issues, headaches, and a myriad of other symptoms. It can be difficult at times to ascertain whether you have yet another weird symptom of fibromyalgia, or you truly have something else wrong. And the symptoms vary from one person to the next. Research suggests that “the brain of a fibromyalgia patient amplifies pain signals” and that it “is a complex condition whose definition and measurement extend far beyond charting patient-reported pain levels on a numeric scale.” It’s no wonder there are over 200 symptoms and/or co-morbidities that have been attributed to this syndrome. As you can see, the list of symptoms is quite extensive. 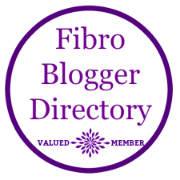 It can be quite confusing to determine if what you are experiencing is fibro related or not. Just remember, you are not your pain. Find a good rheumatologist, neurologist, or primary care doctor who is willing to listen to you and work with you to get some relief. Keep a symptom diary. Look for support groups on Facebook or in your local area to share your struggles. Try some lifestyle changes such as to your sleeping or eating habits. Find what works for you. What strange symptoms of fibromyalgia do you have? Yes, I agree Cynthia, it can be a real conundrum when a new symptom happens & we are unsure if its Fibromyalgia or something other. And our drs can also have a tendency to put new symptoms down to FM too! Thanks! I will be sure to check it out.